and control your home - all in one system. Smart home security is quickly becoming more and more popular all over the world and for good reason. family are safe when you're at work, away on holiday or simply out shopping. Alongside intruder deterrence and detection, your home alarm can act as a vital intervention to natural disaster and fire risk. 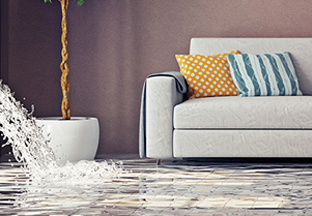 Our home alarm system can be fitted with additional detectors to alert you to fire risk, gas leaks, carbon monoxide or even flood damage. Alongside your innovative smartphone app, these additional safety features can keep you up to date on the move. In the event of a detection, be it fire or a broken appliance, you will receive a push notification to alert you of the danger. It has never been easier to protect your home. Long gone are the days where you were required to remember pin-codes or sequences - now setting your alarm is as simple as a touch of a button. Even better still, you can access your alarm from anywhere in the world with an internet connection to arm, disarm or control your settings. Forget to arm your alarm on the way to work? Simply access our alarm app from your phone and ensure your possessions are protected. 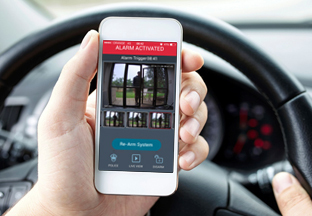 Tailor your alarm system and you can unlock an unparalleled view of your home. Using smart cameras dotted around your home, you can login to your smartphone app and view live HD video from anywhere with an internet connection. Check on your children, relatives, vehicles or even your pets from the palm of your hand with this simple video upgrade. Alternatively, install cameras near entrances for a clearer view of who is entering your home. Your cameras can be activated on demand at any time, giving you the flexibility to use your home CCTV cameras as you wish. Thanks to innovative, smartphone-controlled plugs, you can transform your home into a smart home in an instant! Using the same app as your security, you are now in full control of your home - turn on and off lighting, radiators, water heaters or even entertainment such as your TV or games console from the palm of your hand. Using smart thermostats you can take full control of your climate control. Program your heating to wake up with you or upon returning home after a long day at the office. Our smartphone app gives you full control and allows you to adjust heating manually from wherever you are. Smart Access revolutionizes how you control access to your home. By installing an electronic lock system you can pair your security and your access control together in one simple app. No longer will you worry about unlocked doors - your smart access control can tell you, and consequently lock the door at the touch of a button. Perfect for a busy home, smart access allows you to forget about unnecessary keys and the potential for them to be lost, or even worst - stolen. Resulting in costly lock changes. Using a handy keypad or the app itself, you can unlock doors without hassle and provide a safe environment for your family. Keep your family safe from harm. your hand and save money with intuitive, energy saving pre-settings. We can help you find the best alarm for your home and budget. 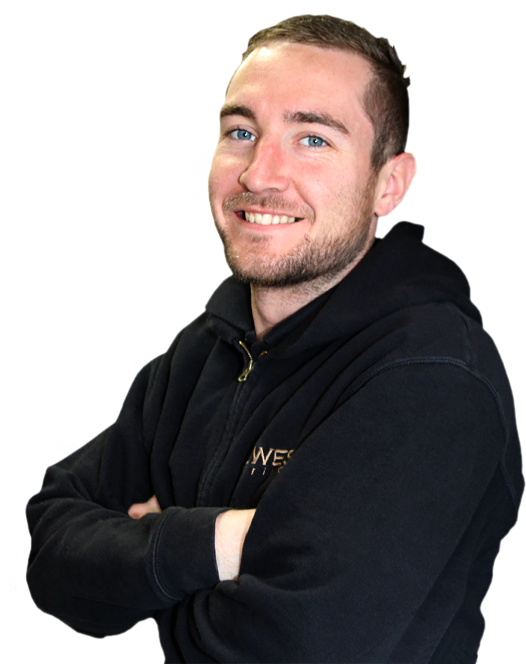 Contact our expert security installers today and discover how we can help protect your home. Our expert engineers work throughout the Essex area to provide their services.